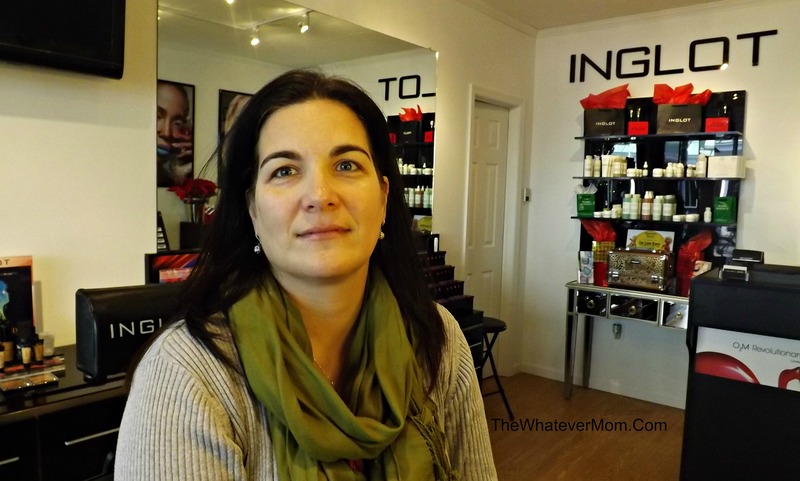 FRIDAY FAVORITES INGLOT REVIEW AND GIVEAWAY FROM FACE BEAUTY STUDIO! I am excited to return with my Friday Favorites! This week I have a big review AND a big giveaway for my local readers. If it weren’t for the support from my local “Momrads” (thank you Molly! ), I wouldn’t be blogging today! I can’t wait for one of them to win this awesome prize! Contest details are at the end of this post so stick with me! INGLOT Cosmetics are hitting fashion runways, the Broadway stage and Hollywood with their toxin free makeup! All of their cosmetics are free from parabens and additives that take away from your skins nourishment. 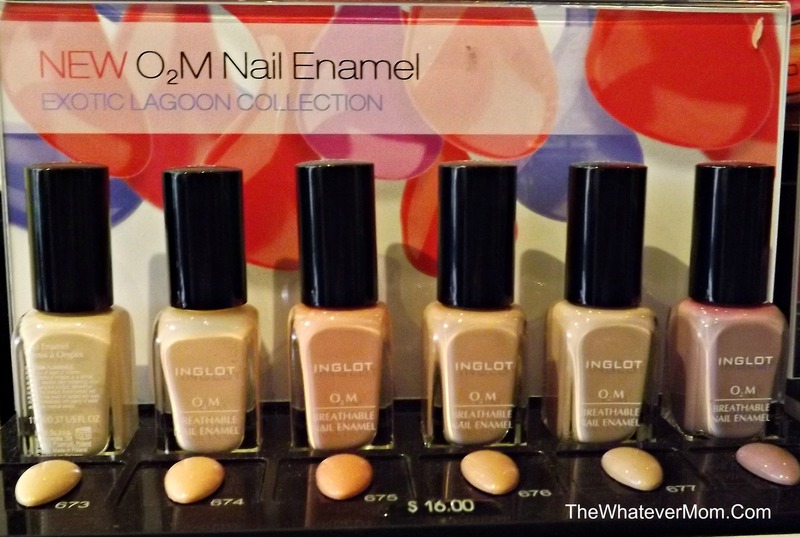 INGLOT is also causing a stir with its revolutionary O2M Breathable Nail Enamel! This formula allows oxygen and water vapor through the pores of your nails. It was created specifically to keep your nails healthy making it not only fashionable, but good-looking! INGLOT has nearly 400 nail colors! I admit my curiosity was piqued when I saw the Freedom System! You can see in the video above how easy it is to customize your palette. It is stack-able and travels with you! The color units come in magnetic square trays that insert into a palette. Simply pop out one square to replace with another and toss the empty metal into the recycling bin! Eye colors start at $7.00 each which is very affordable for a quality, non-toxic product. INGLOT offers 600 ways to enhance your eyes! When Cathy, the local owner of Face Beauty Studio in Kingston, contacted me about a review and giveaway I nearly jumped out of my seat! I got to test drive her Eye Express service where she treated me to a custom color look and a sampling of Mario Badescu botanical skin care. With over 15 years of experience in the cosmetic industry and working alongside makeup artists for print ads, runway shows and fashion Cathy found her passion is making people look and feel good about themselves. I have to admit, it’s nice to see my old self back again. You know…before life with kids and the toll of sleepless nights! Cathy used some new colors I had never tried before. Untouched photo. Those baggy eyes are legit! Me leaving Face Beauty with my INGLOT colors. I asked for tips for tired, busy moms like me: Cathy stresses taking care of your skin (or canvas as she calls it) will best amplify your color and look! She can customize skin care products right in her store! The Milk and Tonic wipes are great even when I’m not removing make up. This will quickly clean off any debris and environmental residue I encounter through the day and it is safe enough to use on a child’s messy hands! Next, she recommends I use eyeliner on the wet line of my top eye lid to dramatically lift the look of the eye. If there is time add mascara. If not, go for the lips! A lipstick, a lip gloss or a lip balm will help keep lips hydrated and plump and help battle the aging process. A fun way to try before you buy in store. This is the first time I met Cathy, but I feel like I have known her a long time! She is wonderfully easy to talk with and doesn’t stop working while she’s applying her artistry! The Eye Express Service is only $25.00 and perfect for a night out! Can’t get out? Cathy and her crew can come to you for a fun night in with friends!! They will make sure you all look fresh and fabulous! So….. Are you ready for the giveaway local friends? How about a ONE HOUR private makeup lesson?! You get step by step, hands on tutorial with Cathy to learn how to create a flawless look matching your lifestyle! You will get the tips and tricks of the professionals and leave the studio knowing the best colors for your skin tone, how to enhance your face shape AND the confidence to be your beautiful self! This is an $85 value and one lucky winner will win it for FREE! Just click on the Raffle Copter link below for YOUR CHANCES TO WIN! Share, share, share and comment below! YOU HAVE 24 HOURS! Winner announced on The Whatever Mom Facebook page! 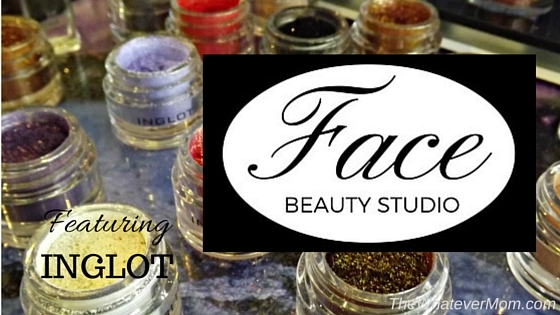 35 Comments on FRIDAY FAVORITES INGLOT REVIEW AND GIVEAWAY FROM FACE BEAUTY STUDIO! my tip is have someone else do your makeup!! Flawless….ahhh please!! I need that!!! Checking it out either way! Drink lots of water and get lots of rest! Hard to do as a mom! My tip is do whatever’s quickest and easiest ;). It is definitely easier and quicker to have someone do it for me! 🙂 At home I have two kids hanging from my elbows. I find if I apply a thin layer of Chapstick before I apply my gloss/lipstick, it tends to last longer! For a special occasion it’s good to have make up team like that to assist us. You look flawless love the lippie. What a fantastic offer too how generous of them to offer a lesson. That’s really great that they’re breaking into the theatre scene. As an actor I can testify to the many nightmares of using stage makeup. Excited for a product like this to come on the scene. I make my own makeup for everyday where, but that doesn’t cut it for stage. Thanks for sharing! Excited to check it out! I used to apply stage makeup for actors in college productions. That I’m sure was horribly cheap. But, I remember how “cakey” it could get. I was super excited to see how affordable it is! 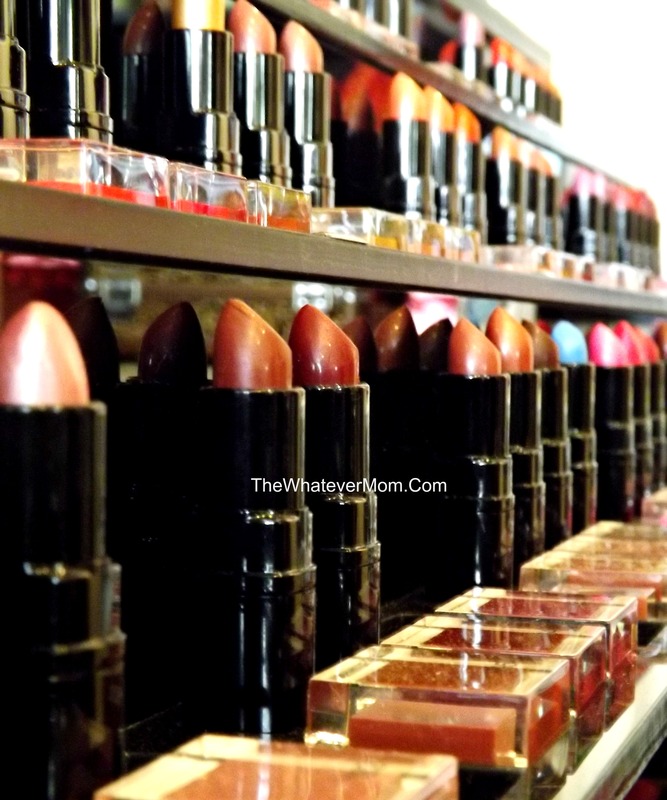 Toxin free makeup and products can often get pricey. My favorite mom on the go beauty tip would be if you don’t have time for the full makeup shabang just apply a little foundation, blush, and mascara! Especially don’t forget the mascara! I found the best thing for me is to set up a good routine of cleansing and monitor ozone daily. Also, mascara goes a long way! I’d really love to learn more about makeup though and I’m pretty close by in newburgh, Ny. Taking care of your skin is so important! When I was younger I did nothing, and now I am realizing I need to kick it into gear! The dry winter weather isn’t helping anything for me right now though! What a great review. I love the shades of the nail enamels. Great review. So important to take care of ourselves inside and out! I think the big key is to moisturize. Lots on the outside, and water for the inside. What what gorgeous colors! I really need to try this out, I could use more fun in my life! This sounds like great makeup! 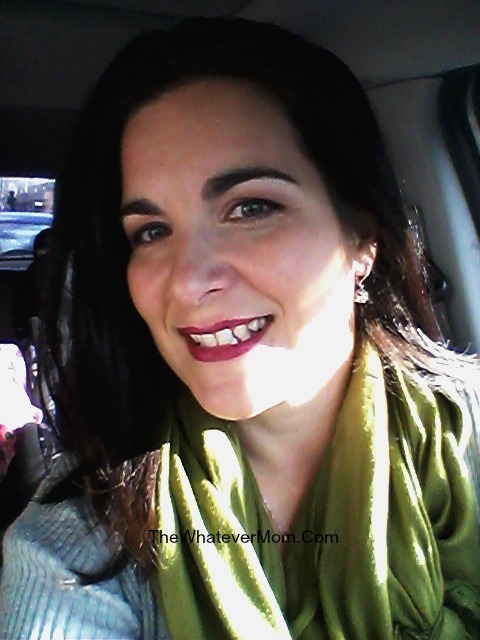 I love finding out about toxin free makeup companies! I love that the palettes are non-toxic! 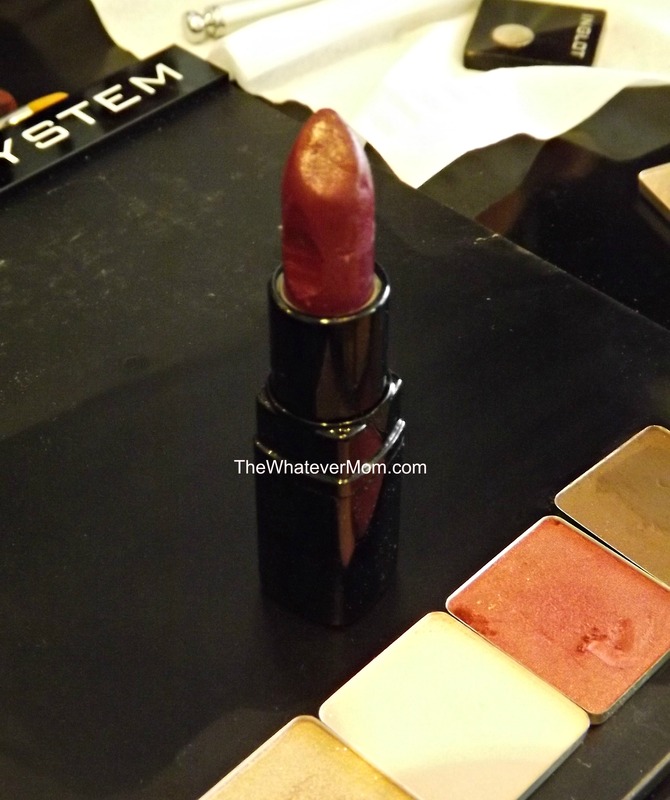 Seriously, so much makeup on the market right now is ridden with toxins. And those magnetic square trays are genius! I’d love any of these on my Christmas list! i have heard so much about this brand from my blogger friends but never had the chance to try it. 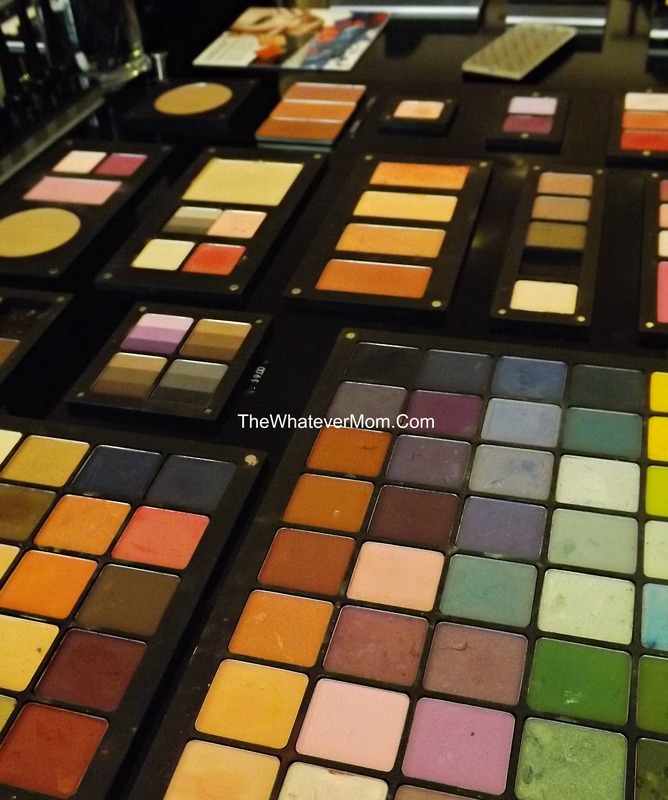 So thrilled to know that their palettes don’t contain all that harsh chemicals. Definitely checking them out. I have heard a lot about this brand. What a super giveaway! I really like the color palette. I need that palate that is for sure it looks fantastic. I like the range of colours and textures available. I have to say I am impressed with the affordable quality!! I love inglot! I have always wanted to try their eyeshadow palettes, they look like they’re such high quality! Oh the colors! I know you had a hard time choosing but I bet it was a good time. Oh the colors! I would have had a hard time choosing. These look amazing I’ve never heard of this company before. I love the colors.